Traditional publishers like Random House are the first option when you’re deciding how to publish your book. A traditional publisher pays you for the privilege of publishing your books. Traditional publishers also pay all the expenses of printing, distributing, and promoting your books. You get to focus on promoting your books, writing more, and cashing your royalty checks. Self-publishing is the second option when you’re deciding how to publish your book. Self-publishing is you paying someone else for the privilege of publishing your books. And you have to do everything. Edit and format the book. Design a cover. Get it printed and distribute. Sell it, ship it, and handle returns. Etc. Obviously, you getting paid to publish is better than you paying to publish (and doing everything yourself). But there are some cases when self-publishing is a good option. For example, you might have already done everything possible to try and get a traditional publisher without success. Or you might be a marketing executive who loves marketing more than writing. Then maybe self-publishing is for you. Vanity presses are the third option when you’re deciding how to publish your book. Vanity presses are similar to self-publishing, except working with them costs you more money. That’s because vanity presses do more for you. They’ll take care of minor editing. They’ll create your cover. They’ll format the book and get them printed as well. Unfortunately, vanity presses also sometimes (often) pretend they’re going to do more for you than they really do… like get you major distribution. And they’re always “upselling” authors on new marketing and promotional strategies that never yield results. I know I’m going to make some people mad when I say this, but 95% of the authors who self-publish or work with a vanity press only do so… because they don’t know how to get a real publisher (or they’re afraid they won’t be able to). If you’re wondering how to publish your book, I want to encourage you (even if your a marketing pro) to at least try to get a traditional publisher like Random House first. * Why pay money out of your own pocket to get your book(s) published, when someone else (a publisher) would pay you for that privilege? Why not reverse your financial risk as an author, and get paid a cash advance (before your book is even published)? * Why not give yourself a chance to become a legitimate bestseller (like a NY Times bestseller) instead of killing yourself and possibly embarrassing yourself… trying to become an Amazon bestseller in your category which isn’t going to impress anyone anyway (by the way, you pretty much need a 50,000 copy first print run and a well coordinated book launch to have a chance at becoming a NY Times bestseller). The only one that can do that is a traditional publisher. * Why not take advantage of highly skilled editors and cover designers who will listen to your ideas and help you take your vision to the next level? * Why not have a professional sales & marketing team distribute your book to bookstores (and nontraditional outlets like airports, grocery stores, and wholesale clubs like Costco, etc.)? 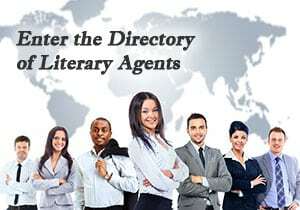 * Why not let a licensing team get your book into other countries, sell excerpts to well-known magazines, bring you a related TV or film offer, and/or get you spin-off product deals like a calendar or audio version of your book? * Why not have an experienced publicity team writing press releases for you… positioning and promoting you and your book, getting you big-time reviews and interviews? * If you want real credibility… you want to reach more people with your message… you want to make more money…. and you want time to do other things in your life (besides promote your book) you need a real publisher. 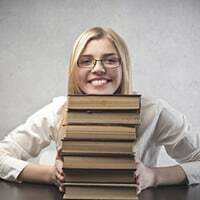 let’s take a quick look at how to market your book.